Once again, a snail that is also found in Iowa is mentioned. 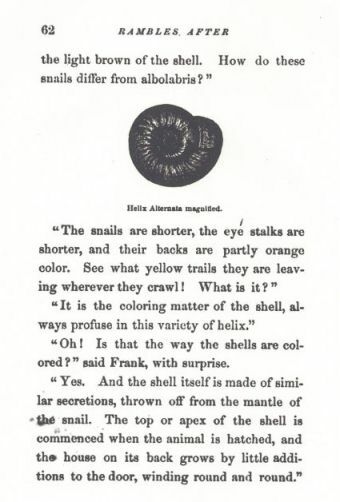 Notice how Helen describes how this snail is different than albolabris and explains how the snail grows. Without getting bogged down with overly technical and complicated language, but without avoiding the technical language, either, Helen explains a little of the anatomy of this snail. To my eyes, this is the work of someone who is both a very good and observant naturalist, and who is also a master of storytelling. This snail is known as Anguispira alternata. This is a very small snail that can often be found under loose bark on a fallen tree. Once again, Helen goes into an explanation of the meaning of the scientific name. 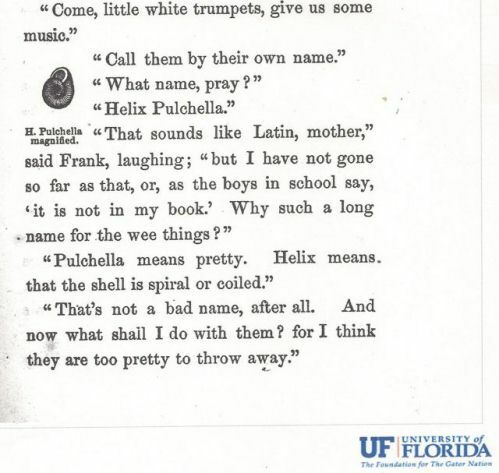 This is part of a chapter that includes instructions on how to handle the snails and the meaning of the words mollusca and conchologist. These snails are now known by the name Vallonia pulchella.